Who has time to keep up with cleaning a home? Let the experts at Buckets & Bows Maid Service professionally clean your home or office! Call us today! It’s more affordable than you think! 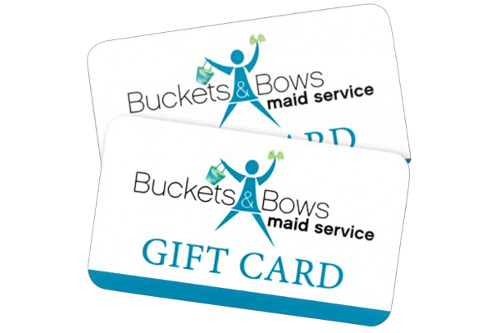 Buckets & Bows Maid Service wants to be your first and only choice for cleaning services today and in the future! When you hire us for your home or office cleaning, you can expect the best quality, most thorough and professional maid services available! We know you have many options for cleaning services, but there is only one that stands out above all the rest… and that is Buckets & Bows Maid Service! Proudly serving: Flower Mound, Lewisville, Argyle, Carrollton, Coppell, Corinth, Denton, Frisco, Little Elm, Plano, Roanoke, The Colony and all points between. Get a FREE Quote Today. It’s more affordable than you think!